The boys U12 team, consisting of Eric Ma, Michael Liu, Greg Sauer and Trent Sauer, was very proud to represent the Casey Curtis Tennis Academy at Mayfair Parkway at the recent OTA U12 Team Championships. The team narrowly missed winning the consolation final in a tightly contested fixture, resulting in a 3-3 tie, ultimately decided by the number of sets won. What made the coaches even more proud than the quality of tennis was the sportsmanship and positive attitude that the team displayed, earning them the Fair Play award. For those wanting to start the day by being active, we would like to offer Cardio, Live Ball, or Stroke Development Clinics for ALL levels. WEEKDAY EVENING CLINICS AND MIXERS FOR ADULTS! Beginner Clinic: Focus on Stroke Development and Improvement, Learning to Rally and Tennis Fundamentals, please email Justin at: justin@limitlesstennis.net. Intermediate Liveball – A playing clinic that focuses on doubles positioning, improvement and strategy, please email Daniel at: dsalmon@mayfairclubs.com. Clinic and Mixer 3.0-3.5 level: Work on your strokes and then put them into playing scenarios, please email Akemi at: akemitennis@gmail.com. Evening Mixer 4.0+ & Organized Doubles Match Play, please email Akemi at: akemitennis@gmail.com. Have your child (ages 4 – 14) learn the fundamentals of tennis from our certified teaching professionals, in a fun and motivating environment. We offer half-day, full-day and 7-day camp week over 2 weeks (special rate), that offers low camper-to-instructor ratio, lunch for morning and full day sessions and an afternoon optional swim opportunity. December 31, January 2, 3, 4 (week 2). Please check out our Kids Tennis Camp Brochure for everything you need to know about our Holiday Camps, P.A. Day Camps, and more! For more information, or to register for any of the above programming, please email Ed at: parkwaytennis@mayfairclubs.com. Hosted by Willie Hosey and Cole Osborne, this doubles and singles handicap tournament will be open to all members. The fee includes a beverage, a meal, and prizes for the top finishers. There are only 32 spots available in each draw, so if you would like to play, register quickly. Please contact Cole Osborne at parkwaysquash@mayfairclubs.com to register. Are you in the Willie Wednesday program? If you are, this dinner is for you! Please RSVP with Willie Hosey at whosey@mayfairclubs.com. Are you in the Monday Night House League program? If you are, this dinner is for you! Please RSVP with Willie Hosey at whosey@mayfairclubs.com. Play doubles badminton with different partners throughout the night! Play doubles or singles with and against different players throughout the night! January 11, 2019 | 6:30 – 8:30pm Sporting Events | 7:30pm – Dinner & Fun! Join us this January for our Après Holidays party for members! The event will include tennis and squash round robins, followed by complimentary food stations and beer & wine tastings at 7:30pm, and a live band. Tickets will be available at the front desk from December 17 to January 7 – or until sold out. Guests are $35. No tickets will be sold at the door. The $35 fee applies to unused tickets. If you are unable to attend, please return your ticket to the Club by January 7. If you’d like to register for tennis, email Ed at parkwaytennis@mayfairclubs.com or for squash, email Willie at whosey@mayfairclubs.com. 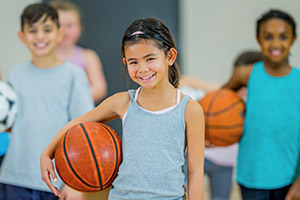 Kids ages 4-14 will enjoy a range of fun activities where we provide a low camper-to-instructor ratio and structured daily programs consisting of organized sport games including basketball, badminton, floor hockey, soccer, table tennis, and recreational swimming. Be sure to take advantage of our Early Bird Pricing and register now for our P.A. Day, Holiday and Summer Camps. All information and registration forms can be found on our website. Contact parkwaysports@mayfairclubs.com for pricing or any other info! Please check out our Kids Tennis Camp Brochure for everything you need to know about our Holiday Camps, P.A. Day Camps, and more! For more information, or to register for tennis camp, please email Ed at: parkwaytennis@mayfairclubs.com. Book your child’s party with Mayfair! Our helpful and fun staff is always on hand to make sure your party has a great time and will go out of their way to ensure the day is special for your child. We’ve got the right package just for you! Included in the pricing: 2 hours of supervised and organized fun! WELCOME NEW TRAINER BRANDON MULLER! Brandon grew up playing every sport he had time for. His passion for sport keeps him active every day. Over the past 5+ years, Brandon has focused his time studying the human body. Brandon has a ton of education and training under his fitness belt: Strong First Kettlebell, Animal Flow, DTS hypertrophy and striking workshops, and a 1-month performance mentorship at EXOS performance center in Phoenix. Under the realm of therapy, he has studied Massage Therapy, Functional Range Conditioning, Fascial Stretch Therapy L3, Guy Voyer – Myofascial Stretching, and nearly 100 hours of human dissection at Queens University. This is not just a job to Brandon, but rather a lifelong vocation. In addition to personal training, Brandon is also a highly qualified Fascial Stretch Therapist – feel free to approach him on the gym floor! Your health and fitness goals are much more attainable with Brandon in your corner. To learn more about Fascial Stretch Therapy & Personal Training, or to book a session with Brandon, please contact Joseph Harwood, Fitness Manager at 905-475-0350 ext. 3252 or jharwood@mayfairclubs.com. The objective of our program is to provide our membership with the opportunity to train under the guidance of our personal training team in a structured environment that is geared towards providing expert coaching in a small group setting. Classes include Mixed Martial Arts Fitness and Boxing. The Small Group Training schedule is available at mayfairclubs.com and registration happens via MotionVibe. To register or for more information, please contact Joseph Harwood, Fitness Manager at 905-475-0350 ext. 3252 or jharwood@mayfairclubs.com. Get a taste for Personal Training with our one of our Expert Trainers by taking part in our Fit Start Promotion. This 3-session (60 minutes per session) introduction to training will be sure to assist you in getting started with your routine while showing you the benefits and value of working with an Expert Trainer at the Mayfair. *New Members to PT only. To register or for more information, please contact Joseph Harwood, Fitness Manager at 905-475-0350 ext. 3252 or jharwood@mayfairclubs.com. Mayfair Parkway is home to several Specialist Trainers. If you have an interest in making big improvements in your body composition with Olympic Weightlifting, Boxing, Muscle Activation Techniques (MAT), Powerlifting and Tennis-Specific Training or Fascial Stretch Therapy – come talk to us! The Mayfair Parkway fitness team can help you reach your goals! Power, strength, balance, speed, agility, and flexibility are the hall marks of this class. It uses a circuit format to challenge class participants with a well-rounded complete workout. It is lots of fun and will get you results fast! See the full group exercise schedule at mayfairclubs.com. A class that is based on the TRX suspension training system and workout exercises performed on the turf. This class takes place partly in the group fitness room and partly on the turf. The format is a circuit style class. See the full group exercise schedule at mayfairclubs.com. Starts January 7 – Registration open! Winter is the perfect time to work on your swim skills and prepare for a summer of fun in the water! Parkway’s Winter Swim Session kicks off on Monday January 7 and we have already begun accepting registrants for the New Year. Adult and Youth programs are readily available, ranging from pure beginner to even the most advanced Master swimmers. If you or your young ones are looking for a new form of fitness, rehabilitating an injury, or trying to improve your game off court – the pool should be your go-to this season. Register before December 11th for our Early Bird Pricing and save $25! To register, contact Kevin Power at parkwayaquatics@mayfairclubs.com. Private (1:1), Semi-Private (2:1), and Group (3:1) lessons are available.Please contact Kevin Power at parkwayaquatics@mayfairclubs.com. Make waves in the pool this New Year with a complimentary Swim Assessment for you and your juniors! Members of all ages and skills are invited to join us for an in-water assessment and complimentary mini-lesson. This is a perfect chance to hop in the pool with an experienced instructor and be paired in one of our many aquatic programs. This free assessment will help guide you on your fitness journey and help you meet your New Years resolution – be it health improvement, weight loss, or keeping your juniors active during the winter season, Parkway’s Aquatic Assessment will guide you to feeling fit and confident in the water. Email parkwayaquatics@mayfairclubs.com to register! We’ve got your Holiday Party needs covered! Get festive with friends and family at Mayfair Parkway and let us take care of the details this holiday season. For further details, please contact our Food & Beverage Manager Warren Berman at pbistro@mayfairclubs.com. Visit the Mayfair Parkway Sports Shop to see our extensive selection of racquets, shoes, clothes and accessories. Not sure what to get that special someone? Consider a Mayfair Gift Certificate or some Mayfair Clubs gear!